It has been a big year for Red Cross disaster relief workers in North America, with thousands of people affected by the February tornadoes that ripped through the southern states and severe flooding in the Midwest. And as a way of raising awareness of the work the organization does, a prominent and popular country music band has featured their relief services in a new music video. Every Day, the latest song from Rascal Flatts' Still Feels Good album, makes its debut this week, and the video depicts a variety of situations where Red Cross provide emergency assistance to those in need. “It gives us great pleasure to be able to work with a wonderful organization like the American Red Cross, because of the humanitarian service it provides to this country and around the world.” said Gary LeVox, lead singer of the band. 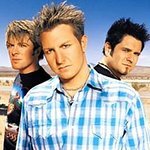 Rascal Flatts, who recently scooped an accolade for one of their videos at the CMT Country Music Awards, have been members of the Red Cross National Celebrity Cabinet since 2004, and have previously taped Public Service Announcements to encourage people to support the Red Cross Disaster Relief Fund. The band will also receive the 2008 Academy of Country Music Humanitarian Award on May 18 in Las Vegas. You can see the Every Day music video here or visit the band’s website.